Every once in a while a little tidbit this way comes that has both of us rubbing our hands in glee. This is such a bit. 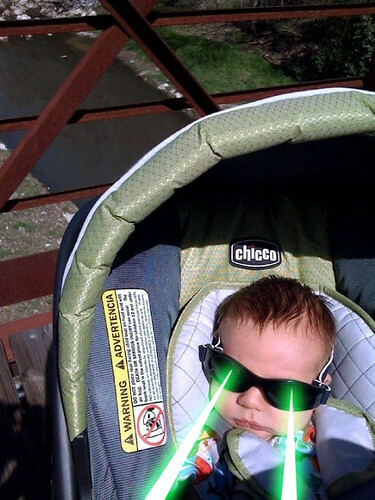 Courtesy of our friend Andrea, check out these Babies With Laser Eyes. Yep. 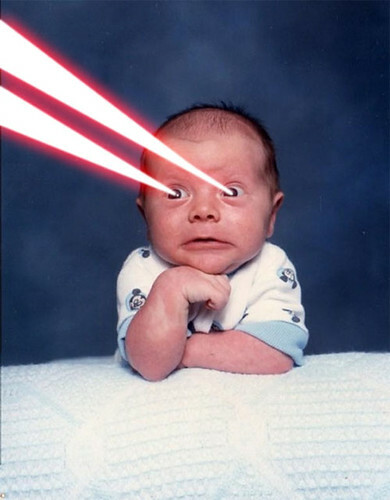 That's a baby with laser eyes. Now, I know that DC is ultimately a design blog. We present you with hard hitting entertainicles on the best paint colors and furnishing trends, with a healthy dose of hip artwork and graphic design to round out the awesomeness. 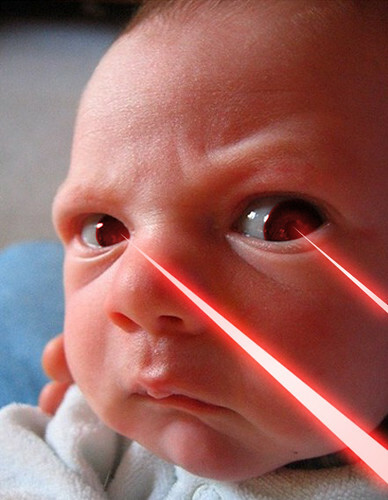 Do laser babies fit into any of these categories? I don't know. Blow one of these bad boys up into a poster and stick it on your wall. Your mom will love it. 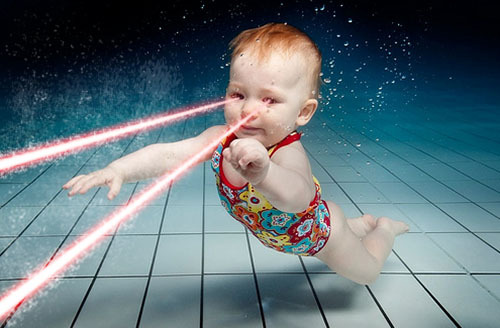 Who knew that babies could be raised on a steady diet of magic mushroom milk and Pink Floyd? The baby instruction manuals I read completely glossed over this important information. I'm pretty sure The Hunny is going to want a T-shirt of this one. This little dude is going to haunt my dreams, for reals. Can you say hot tub? 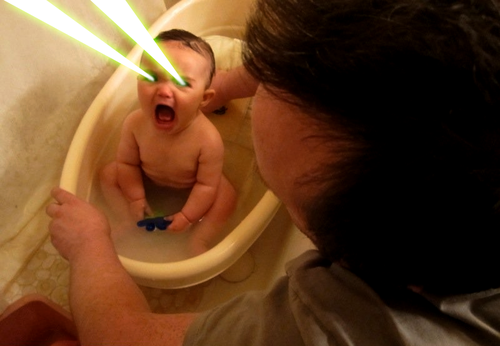 Let's just pretend for one minute that you don't like babies. Well, first of all that would be ridiculous. But whatever, we can't all be obsessed with chubby cheeks and giggles and precious bodily fluids. 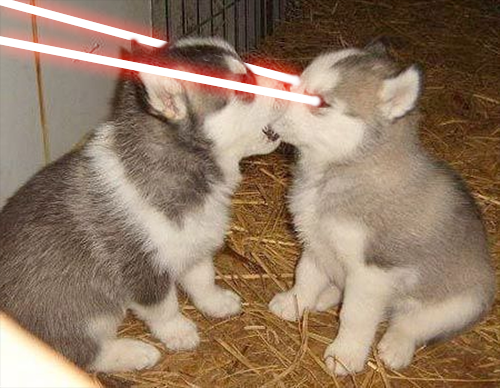 But if you don't like baby animals with lasers, then you are going to have to go somewhere else. Psycho. 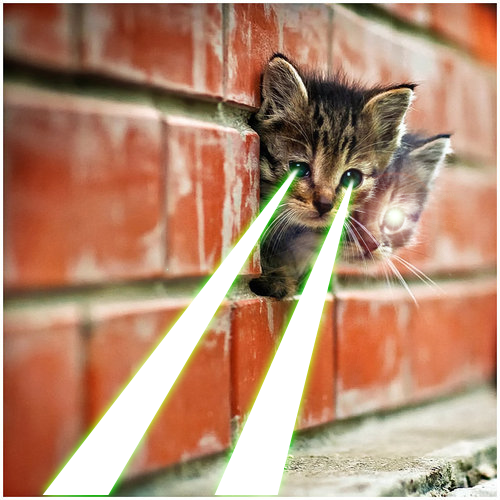 Awww, sweet double headed laser kitty. I want one so bad. And Ozzy's crime fighting friend, Ike. 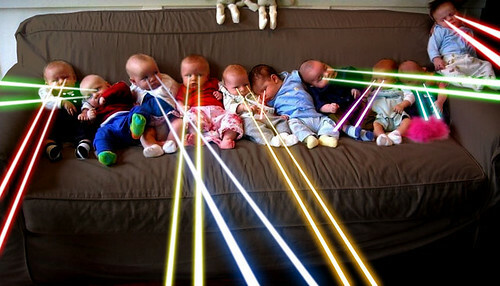 These kids are going to get into so much trouble together. 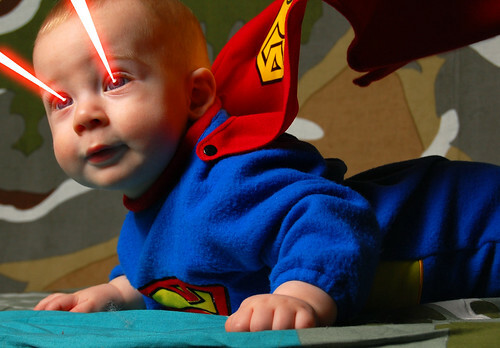 I did make his lasers green, but The Hunny informed me that Superman's special eye lasers are red. Duh. 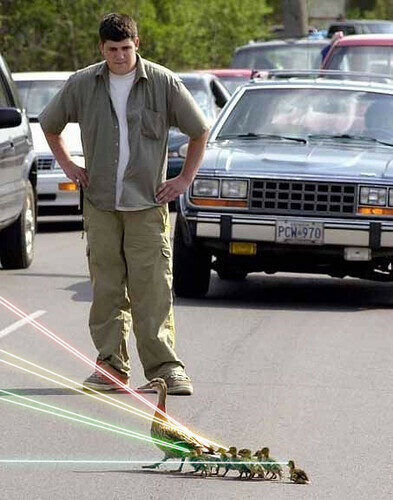 For more lasertastic photos, and to learn how to add lasers to, well, anything, go here.